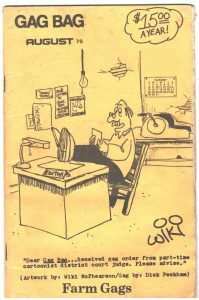 Cartoonist newsletter from forty years ago! 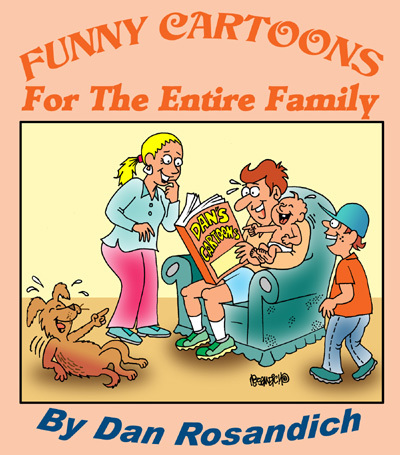 Cartoonist information resources proliferated when there was an active gag cartoon market for gag cartoonists. I’ve written about other publications that were being created on a monthly basis for the full time freelance cartoonist and have found yet another one I used to subscribe to called Gag Bag. The basic elements in this monthly gag writer and cartooning newsletter were to show how to write gags. It also listed cartoon markets and profiled some of the gag panel cartoons that appeared in previous trade journals. It had a good subscriber base I know, since I kept in touch with others who subscribed to it, and traded off my issues of Gag Recap and / or Cartoon World with whoever was getting Funny Papers or Toon In newsletters. Cartoonists were mentioned in Gag Bag as either looking for cartoon gags or possibly a cartoonist was filled up with ideas and just not looking. There were departments in the publication devoted to this and from month to month, you could see what your fellow cartoonists were up to, where they were trying to concentrate their sales to and so forth. There were also sections which were ‘Idea Stimulators’ listing alot of words vs. situations. A great way to inspire new gag cartoon ideas. 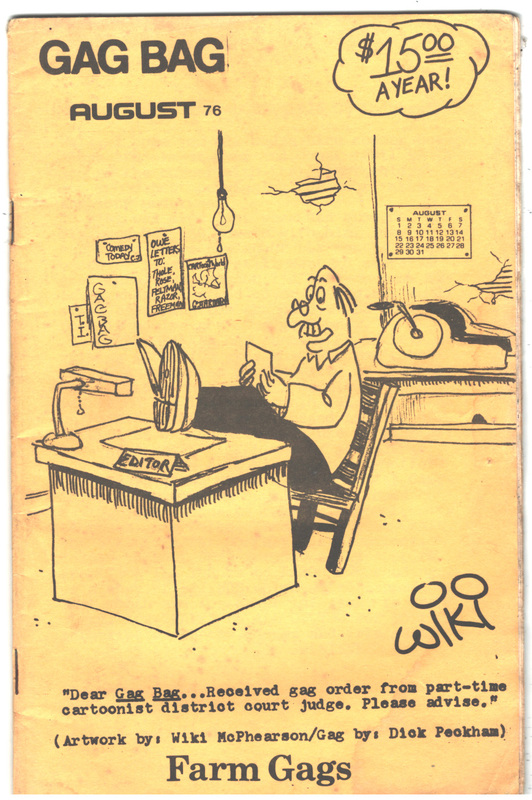 Mind you, these informative and interesting newsletters were being printed long before anyone had a connection to the internet….so in a sense, they were to “go-to” resource for cartoonists. I doubt any publications like these will ever be physically produced for cartoonists’ use. It just wouldn’t be ethical when most cartoonists get all their news, markets and tips online. But overall it’s great looking through these booklets and reliving days of cartooning that are now long ago!